Introduced in 2002 to replace the first generation Mercedes-Benz CLK (which debuted in 1996), the svelte CLK was offered in both coupé and cabriolet guises. 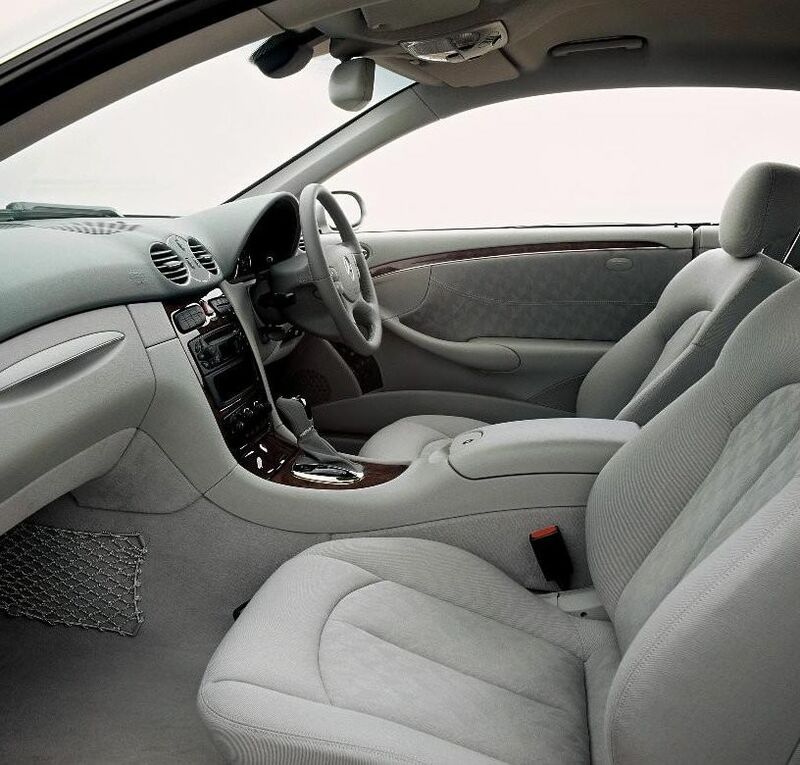 Introduced in 2002 to replace the first generation Mercedes-Benz CLK (which debuted in 1996), the svelte CLK was offered in both coupé and cabriolet guises. Sitting somewhere between the C-Class and E-Class model ranges the CLK borrowed heavily from both technologically, though is way more glamorous than its saloon relations. Rivals are few, the CLK a bit bigger than the BMW 3 Series Coupé and Convertible and any alternatives from Audi of the same age. Whether you are a coupé or cabriolet buyer the Mercedes-Benz CLK delivers style in abundance, its svelte lines still looking good today. The last rolled off the production line in 2009, when the CLK was replaced by both the E-Class Coupé and Cabriolet and the C-Class Coupé. It might be sleek in profile, but don’t let those lines fool you, as it’s not quite as compromised inside as you might think. There’s room for four adults at a push - and access to those seats in both the coupé and cabriolet is eased by the lack of a B-pillar. Naturally the boot space suffers in the drop-top, though you’ll still get a set or two of golf clubs in if the sun’s out and the top is down. Trim levels follow Mercedes-Benz’s usual Elegance and Avantgarde lines, with AMG styling options and a range-topping AMG model. They’re rare in Ireland thanks to a high sticker price and punishingly expensive to run 6.2-litre V8 engine. Powertrains for the masses include a supercharged 1.8-litre unit badged 200k, the CLK 280 with a 3.0-litre V6, a 3.5-litre V6 badged '350' and 5.5-litre V8 in the CLK 500. More sensibly there’s 2.1-litre CDI turbodiesel, which delivers pace and economy. Automatics are a must, though it's rare to find a CLK without a self-shifting transmission. By sheer volume it’s a toss-up between the CLK 200k and the CLK 220 CDI. The first gives the keener response of petrol power, but the diesel adds real mid-range punch and better economy. We’d opt for a coupé in diesel guise and a CLK 200K or one of the V6s for a cabriolet - just for the noise. All should prove reliable, and will still turn heads and have the neighbour’s curtains twitching when you park it on your driveway. Even though the CLK’s direct BMW 3 Series Coupé and Convertible rivals offer a more engaging drive there’s a lot to love about the Mercedes-Benz CLK. Solid build, superb style and decent comfort at surprisingly affordable prices on the used market make it an accessible and hugely desirable purchase.